It's Friday aka an excuse to post a pic of a couple of my fav geek purchases! I'm always of the lookout for fun cult TV and movie themed goodies. 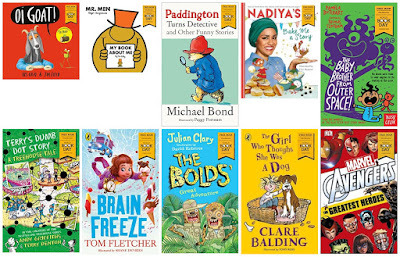 I have to admit charity shops are a great place to source spin-off books and goodies as well as trusted sites such as Truffle Shuffle. 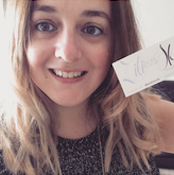 Today I've selected a few of my most loved Doctor Who themed fandom goodies. My Funko POP! Doctor Who: Tenth Doctor keychain, a Doctor Who: Dr. Eleventh Dr Men book I picked up at Comic Con last year and my very worn and loved copy of The Science of Doctor Who. This was a gift from my old boss when I left a past telly job and I love it! 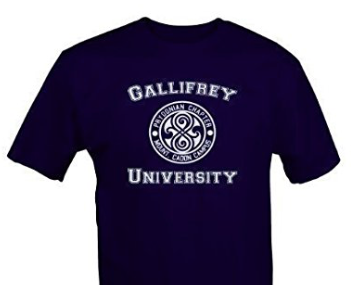 On my wish list is this geektastic UNIVERSITY OF GALLIFREY tee.